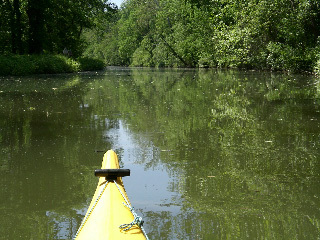 PaddleQuestMaryland is a guide to kayak and canoe trails of Southern Maryland. This site contains trip descriptions for bodies of water in St. Mary’s, Charles, and Calvert counties. The goal is to apprise paddlers where they might find trips of interest. The individual paddler is, in every respect, responsible for their own well-being. Most of the trips described on this site originate on public property. If a launch site is listed as originating on private property, it is the user’s responsibility and duty to contact the property owners before attempting to launch. In Maryland, all shoreline below the mean high tide is public property. This fact is not necessarily recognized or accepted by all waterfront landowners. We would hope that all paddlers will make every effort to maintain respectful and cordial relations with waterfront property owners who may or may not be aware of the limits of their domains. This site does not address the basics of paddling technique or safety. This site does not purport to be an exhaustive resource for every aspect of a given location or route.